Enjoy premium ultra soft microfiber for a comfortable nights sleep! These sheets provide long lasting vibrant color with a soft lustrous touch. Full XL sheets with a deep pocket provide a secure fit on any size mattress up to 15 inches deep. Includes 2 pillowcases, one flat,sheet and one fitted sheet. Machine washable. 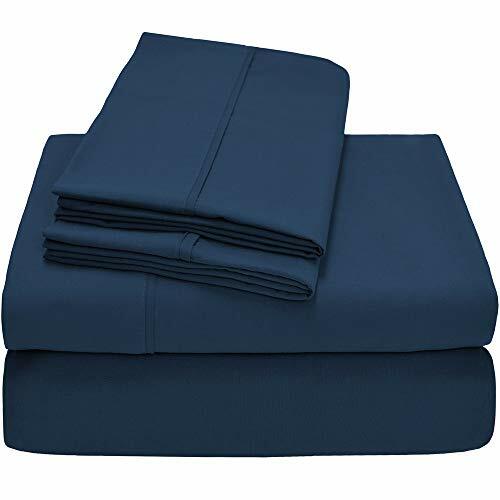 MAXIMUM COMFORT: 4 Piece Full XL Sheet Set Includes: 1 Full XL Fitted Sheet (54" x 80" x 15" pocket), 1 Full Flat Sheet (81" x 104"), 2 Standard Pillowcases (20" x 30"). Expertly tailored fully elasticized fitted sheet with the durable elastic that goes all the way around the fitted sheet will snugly fit all mattresses 6"-15" deep! If you have any questions about this product by Bare Home, contact us by completing and submitting the form below. If you are looking for a specif part number, please include it with your message.